On the remote planet Ryushi, a small ranching community becomes an unwilling participant in a deadly ritual: extraterrestrial Predators have seeded Ryushi with Alien eggs in order to create the ultimate hunt. But what the Predators dont know is that an Alien queen egg is amongst those theyve sent as potential hunting stock, and when the Predators arrive, the hunters become the hunted amidst a monumental swarm of Aliens, and they may need to turn to the very same humans they regard as little more than potential trophies to give them any hope of survival.<br />Aliens vs. 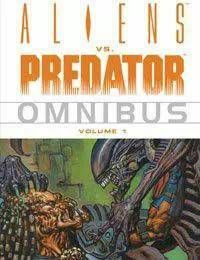 Predator Omnibus Volume One packs over 400 pages of excitement and terror into one package, offering the original smash-hit AVP comics series that launched the franchise, plus the exciting continuation of the storyline previously published as AVP: War.